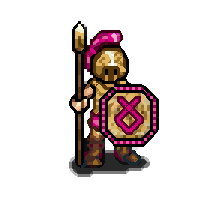 Hoplites are the staple of the Calydonian army: soldier wearing a heavy armor and armed with a spear and a short sword, called Xiphos. Brave and well-trained, Hoplites usually are dangerous enemies for every type of soldier. Last updated on Sat Apr 20 01:27:06 2019.